- Prime Minister Nikola Gruevski met Wednesday Christian Danielsson, Director General for Enlargement at the EC, with whom he talked about Macedonia’s European integration and the High Level Accession Dialogue. Gruevski and Danielsson positively assessed the continuous dialogue between Macedonia and the EC. Gruevski also stressed that the European integration and reforms remained a government priority. Lithuania’s support for Macedonia’s NATO integration, the crisis in Ukraine and Macedonian officers attending training in Lithuania and at the Baltic College in Estonia were some of the topics discussed by the deputy defense ministers of Macedonia and Lithuania, Emil Dimitriev and Marijus Velicka, in Skopje on Wednesday. Dimitriev thanked his counterpart for the strong support from Lithuania for Macedonia’s EU and NATO integration. “Lithuania is one of the countries that strongly supports NATO’s open-door policy and this is very significant for us as a country aspiring for full-fledged membership. We are also going to table security issues, including the crisis in Ukraine and the region. We are going to convey our view about the situation in the Western Balkans. I took this opportunity to thank my counterpart for Lithuania’s support in training Macedonian officers in Lithuania and at the Baltic College in Estonia, which Lithuania strongly supports. - Thirty-three elected deputies of SDSM on Wednesday personally submitted the resignations to the Parliament except for Roza Topuzova Karevska from LDP who did not hand in her resignation and told media that it would be best to act in the Parliament. Macedonia enjoys Italy's full support in its efforts to join NATO and the European Union, rightfully maintaining its position of strict observance of international law. 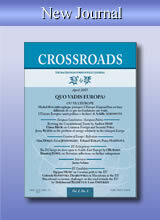 Enlargement remains high on Italy's agenda during its EU presidency. Macedonia can count on support in infrastructure development and in other areas. These are the topics President Gjorge Ivanov and his counterpart Giorgio Napolitano discussed Friday, MIA reports from Rome. Ivanov and Napolitano referred to open issues in the Union, Macedonia’s obstacles and efforts to join NATO and EU. - Macedonian state and church delegation, led by President Gjorge Ivanov attended a religious service Saturday on the tomb of St. Cyril in San Clemente basilica in Rome. The religious service was held by metropolitan of Europe Pimen accompanied by priest Kliment Misanj from Piacenza. - Prime Minister Nikola Gruevski met Thursday with NATO Secretary General Anders Fogh Rasmussen and discussed about the implementation of reforms in favour of further advancing of the country’s political, defense and security performances. Gruevski once again reaffirmed Macedonia’s strong commitment to soon join the Alliance and Rasmussen also stressed that now it is time to find a name solution because the door to NATO remains open for Macedonia. - A Macedonian state and church delegation led by President Gjorge Ivanov, from 21 to 24 May, will pay a visit to Rome and the Holy See on the occasion of the manifestation “Macedonia Honors St. Cyril”. Ivanov is scheduled to have an audience with Pope Francis, he will hold a lecture at University of Naples “Federico II” and on Friday he is to meet with Italian President Giorgio Napolitano. - The mission of the International Monetary Fund ended its two-week visit to Macedonia with the conclusion that it expects the Macedonia economy to strengthen and that the projected growth of 3.5 percent is attainable. The flooding in Serbia, Bosnia and Herzegovina and Croatia, the worst in the region since records began 120 years ago, have claimed more than 40 lives, as over a million people have been affected. The damage that the flooding has inflicted is said to amount to billions of euros. Thousands of people are being evacuated with boats, helicopters and buses from the rising flood waters and landslides, as many places have been left without water and power supply. The number of victims will probably climb up. However, in the words of Serbian Prime Minister Aleksandar Vucic, the death toll is smaller than what was expected on Sunday. The Serbian authorities ordered evacuation to continue as volunteers are raising sandbag barriers at numerous locations along the Sava whose water level is expected to climb up to the maximum over the next couple of days. Serbia’s capital, Belgrade, is also taking precautions. - Prime Minister Nikola Gruevski in a telephone conversation with Serbian counterpart Aleksandar Vucic told him that Macedonia is, at any moment, prepared to offer help to the Republic of Serbia. Nevertheless, over the weekend, humanitarian actions were organized all across Macedonia and citizens donated money, food and clothing. - Macedonian Foreign Minister Nikola Poposki who is attending the Global Security Forum in Bratislava met with Latvian counterpart Edgars Rinkevics and discussed about Macedonia’s Euro-Atlantic agenda and the global security challenges. During the debate Poposki presented Macedonia’s position that every country should be able to make free decisions on its own future. - On Saturday, the Parliament held its constitutive session at which the mandates of all 123 MPs elected in the early parliamentary elections were verified with 96 votes “in favor”. According to Aleksandar Nikolovski, President of the Commission for Verification of the Mandates, the Constitution does not obligate MPs to give a statement before a notary to reject their mandate. Nevertheless, Trajko Velajnoski was reelected the Parliament Speaker and this will be his third term. Veljanoski urged opposition MPs to return to the Parliament and resume working. The future of the Western Balkans is in the European family. This message was sent from Thessaloniki to all EU candidate member state on Thursday. The European integration of the Western Balkans, the enlargement agenda and the achieved progress of the candidate member states on their way to the Union were the main topics at the meeting of the foreign ministers of the EU member states and the countries of the Western Balkans in Thessaloniki in Thursday, which was also attended by Macedonian Foreign Minister Nikola Poposki and EU Enlargement Commissioner Stefan Fule. Minister Poposki stressed in his address the five consecutive recommendations for opening membership negotiations between the Republic of Macedonia and the European Union, the Judgment of the International Court of Justice in The Hague, the criteria that Macedonia has met and the Greek objections that keep Macedonia from opening membership negotiations with the European Union. “The Macedonian message was very clear – just as Macedonia accepted all demands and expectations for meeting criteria, so the European Union should maintain the credibility of the enlargement process. 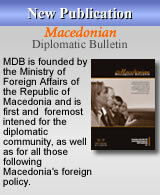 We would also like to thank the European Commission for the fact that despite the serious political pressure, for five years it has issued an objective assessment that the Republic of Macedonia has met all criteria for opening negotiations,” Foreign Minister Nikola Poposki said at the event marking the 11th anniversary of the Thessaloniki Agenda 2003. - On Friday, numerous manifestations will mark the Victory over Fascism Day and the Europe Day and President Gjorge Ivanov will address the ceremonious academy. With a GDP growth rate of 3.1 percent last year, Macedonia was ranked third in Europe and this year expectations are that the country will be ranked fourth, says the European Commission’s spring forecast. “As far as production is concerned, Macedonia’s building sector grew by 33 percent and contributed most to the country’s GDP growth,” the EC said. The EC has projected that the Macedonian economy will grow by 3 percent in 2014 and by 3.2 percent in 2015. “On condition that the structural reforms aiming to improve the business environment, such as the reform for simplifying licensing procedures, are carried out, the creation of new jobs is expected to continue. Although the unemployment rate remained high, on average it dropped by two percentage points, to 29 percent in 2013,” the EC said. However, the spring forecast also says that “the strategy for fiscal consolidation remains unclear” and in this context it is said that the general budget deficit of the Government in 2013 stood at 4.1 percent. Opposition SDSM decided to return the 34 legislative seats and to act as a non-parliamentary political party in the future. The party’s new concept and course of action will be discussed in greater detail at the party congress scheduled for 11 May. In the press release that SDSM issued Thursday, it is said that SDSM’s central board unanimously accepted the executive board’s decision not to recognize the election results and not to accept the legislative seats won in Sunday’s elections. The central board firmly believes that Macedonian citizens were prevented from expressing their will freely as a result of the system pressure the government exerted on them and because of the authorities’ failure to separate the state from the party. - Macedonian Foreign Minister Nikola Poposki met with US Vice President Joe Biden in Washington, at the conference of the Atlantic Council on NATO’s enlargement. Poposki informed that they tabled the need for NATO’s enlargement to continue in view of Ukraine’s crisis. Most participants in the conference stressed the need for Macedonia to be admitted to NATO. - Macedonian Foreign Minister Nikola Poposki who participated in an international conference in Washington met with US Secretary of State John Kerry and exchanged views on the foreign policy and the respect of the international law. According to the State Election Commission, based on data processed from 99.91 percent of all polling stations in the parliamentary elections Sunday, VMRO-DPMNE polled 480,588 (48.5 percent), SDSM 283,869 (24.91 percent), BDI 153,577 (13.48 percent), PDSH 66,392 (5.83 percent), GROM 31,610 (2.77 percent), and RDK 17,783 votes (1.56 percent). Based on the D’Hondt method of calculating seats, VMRO-DPMNE won 61, SDSM, 34, BDI 19, PDSH 7, GROM one and RDK one parliamentary seats. The turnout was 64 percent. In the second round of the presidential elections, in which the turnout was 54.33 percent, the presidential candidate of VMRO-DPMNE, Gjorge Ivanov, polled 534,154 (55.25 percent) and SDSM’s presidential candidate Stevo Pendarovski 398,008 (41.17 percent) votes.